Prepare the pizza dough as directed. 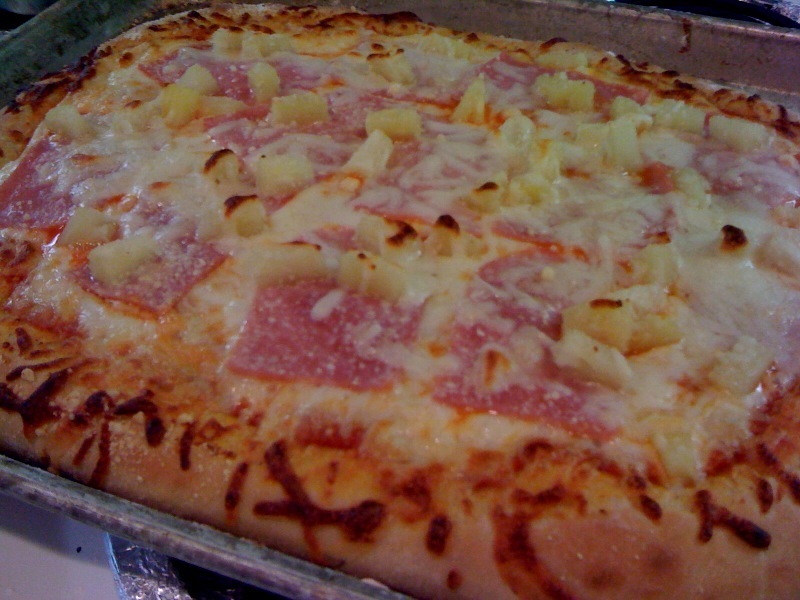 Top with pasta sauce, then layer the ham and pineapple and top with shredded cheese. Bake as directed. I hope you're having a great Friday Night Pizza night! Enjoy time with your family! Stay tuned each Friday when I share some of our favorite pizza creations. I love ham and pineapple pizza! I was going to make some tonight, but someone, *like my hubby* ;) wanted a ham omelette this morning and used the last of it. Oh well, the chicken parmesan pizza I wound up making was good to.